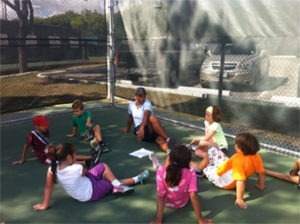 ALL DAY CAMP M-F 8-5:30 P.M.
For juniors ages 6-16 years of age who love all sports. This is an instructional camp which features the club’s junior tennis camp plus “Swim America” swim lessons. Other sports include volleyball, basketball, and soccer. Camp time will include also limited play on the Ninteno Wii, X-box,and game cubes as well as games, movies, open swim, and much more! *Note: If you are signing up for Session 4 (July 4th week), sports camp will NOT be meeting Thursday July 4th. This session will count towards package discount pricing if you have signed up for three or more sessions. If you are signing up for this session ONLY, sports camp will be pro-rated for the week at $220. SAVE $$ ON SUMMER DISCOUNTS PACKAGES!!! Early Bird discount – Save 5% if you register before May 1st. Lump sum payment discount! Save 5% for three or more sessions! 10-noon Tennis Instruction – Quickstart Tennis is here! 9 yrs. 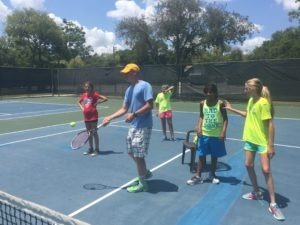 & under – On court Tennis games! 10 & up – On court – tennis stations to include point play. open swim all ages/10 & up optional tennis play. tennis tournament 10 & up. Cost includes a camp t-shirt & 50 hours of supervised instruction and play. With discounts, cost per hour is as low as $2.90/hour!!!! 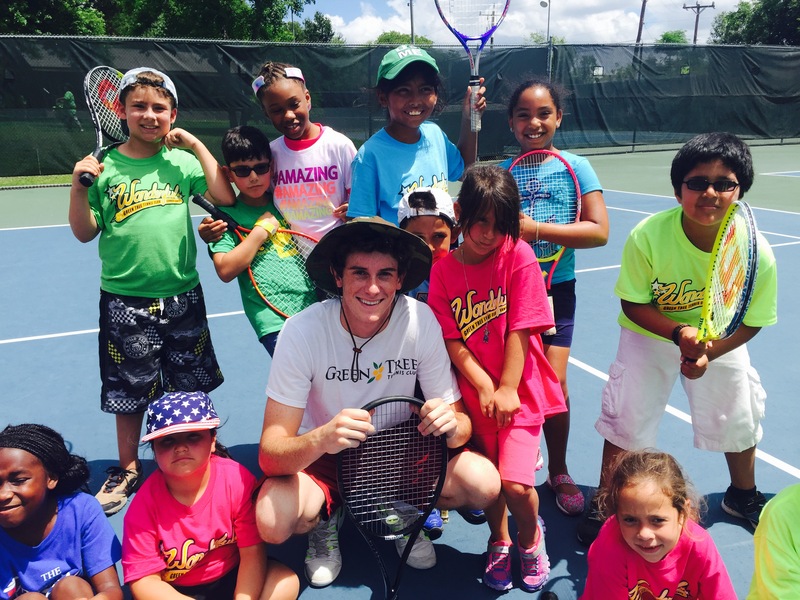 A non-refundable processing fee per registrant of $3 for swimming, $10 for Sports/Tennis camps, $10 for the Combo program and $10 for Spring Break Camp, Junior Development and Summer QuickStart Tennis will be added to the total amount shown.